Subject: LongIsland.com - Your Name sent you Event details of "Colonel Lawrence Wilkerson (ret.) to Speak at Emanuel"
Lawrence Wilkerson is Visiting Professor of Government and Public Policy at the College of William and Mary in Williamsburg, VA. His last positions in government were as Secretary of State Colin Powell's Chief of Staff (2002-05), and Associate Director of the State Department's Policy Planning staff under the directorship of Ambassador Richard N. Haass. 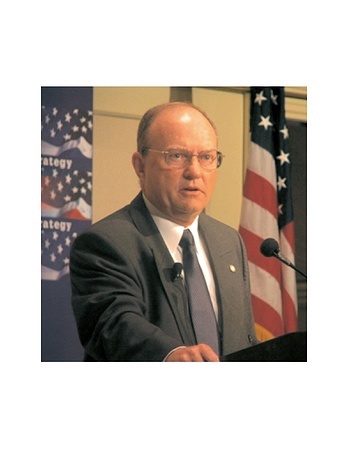 Before serving at the State Department, Wilkerson served 31 years in the U.S. Army, including as Deputy Executive Officer to then-General Colin Powell when he commanded the U.S. Army Forces Command (1989), Special Assistant to General Powell when he was Chairman of the Joint Chiefs of Staff (1989-93), and as Director and Deputy Director of the U.S. Marine Corps War College at Quantico, Virginia (1993-97). Since leaving the State Department, Wilkerson speaks to groups all over America, publishes articles in newspapers and magazines across the country, and regularly offers commentary on television. Colonel Wilkerson's talk is preceded by a brief service. Following his talk, there will be a Q and A, and, in conclusion, refreshments will be served. All members of the community are invited to attend. Admission is free.